In this verse, the words "Awliya"- plural- or "wali" - singular- has been (badly) translated as "friends" or "friend"; however, the more appropriate translation would be a "guardian, protector, or advocate". Muslims are to be advocates and protectors for each other. And friends with everyone. 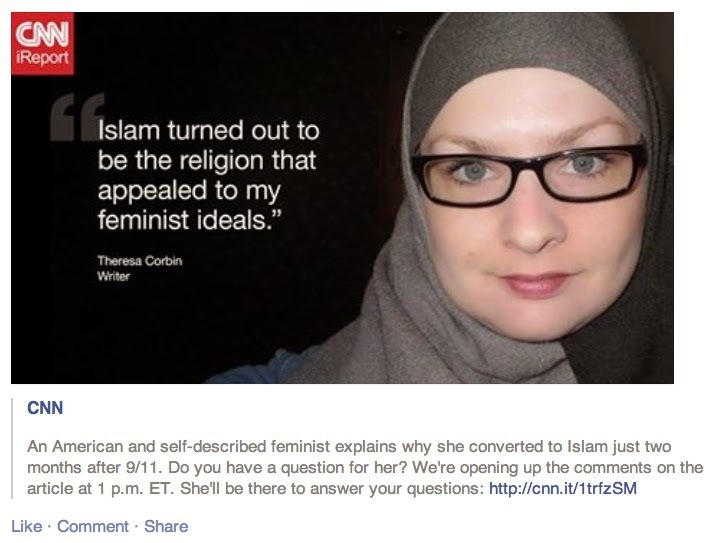 Apparently, Corbin has never stopped blindly accepting what her Muslim instructors tell her to believe about Islam. (We saw this repeatedly in her CNN article.) When we actually examine this verse to see what it means, a few interesting things come to light. First, for the sake of argument, suppose we go along with Corbin's translation. This verse, according to Corbin, commands Muslims not to take Christians or Jews as "guardians, protectors, or advocates." Interesting. So Muslims can't allow Christians or Jews to become police officers, government officials, doctors, lawyers, teachers, etc., in areas where Muslims are present, since doing so would violate the Qur'an. How moderate of our Muslim feminist! Qur’an 10:62—Lo! verily the friends of Allah are (those) on whom fear (cometh) not, nor do they grieve! Qur’an 5:51—Lo! verily the GUARDIANS OF ALLAH are (those) on whom fear (cometh) not, nor do they grieve! So Corbin has just assured her readers that Allah has bodyguards! But surely these bodyguards must be more powerful than Allah if they're guarding Allah. This means that there are beings more powerful than Allah. Thus, Corbin has committed shirk. Corbin seems to think that when a word has multiple meanings, you simply pick the one you like best and say that's the meaning. But that's not how Islam works. Allah claims that his commands are perfectly clear (see Qur'an 6:114, 11:1, 12:1, 16:89, 24:46, 27:1, 41:3, 57:9, etc. ), so when he commands Muslims not to take Jews and Christians as "awliya," he's obviously aware of the fact that one of the most common meanings of the word is "friends." If he had meant something more specific, he could have clarified, but he didn't. Thus, by claiming that she speaks more clearly than Allah speaks in his perfectly clear Word, Corbin is claiming to be a better communicator than Allah. This is yet another instance of shirk on her part. Ibn Abi Hatim recorded that Umar ordered Abu Musa Al-Ash'ari to send him on one sheet of balance the count of what he took in and what he spent. Abu Musa then had a Christian scribe, and he was able to comply with Umar's demand. Umar liked what he saw and exclaimed, "This scribe is proficient. Would you read in the Masjid a letter that came to us from Ash-Sham?" Abu Musa said, "He cannot." Umar said, "Is he not pure?" Abu Musa said, "No, but he is Christian." Abu Musa said, "So Umar admonished me and poked my thigh (with his finger), saying, 'Drive him out (from Al-Madinah).' He then recited, (O you who believe! Take not the Jews and the Christians as friends...)"
Then he reported that Abdullah bin Utbah said, "Let one of you beware that he might be a Jew or a Christian, while unaware." So we have Ibn Kathir, the most respected Qur'an commentator in history, saying that "Allah forbids His believing servants from having Jews and Christians as friends, because they are the enemies of Islam and its people, may Allah curse them." (I guess Ibn Kathir didn't get Corbin's memo that Muslims are to be "friends with everyone"!) Ibn Kathir then goes on to give an example of how this verse was interpreted by Umar (one of Muhammad's closest companions, the father of one of Muhammad's wives, and the second of the "rightly-guided" caliphs). When Umar heard that Abu Musa had a Christian scribe, he ordered Abu Musa to expel the Christian from Medina, and he quoted 5:51 to justify his command. This Christian wasn't a "guardian" or a "protector" of Abu Musa. He was simply close enough to work for Abu Musa, and this was unacceptable. The meaning of "awliya," then, for the early Muslim community, included any sort of close relationship apart from marriage. Instead of picking and choosing which meaning of "awliya" he liked best, Umar realized that Allah means what he says, so he didn't allow Muslims to associate closely with non-Muslims. Hence, if we read the Qur'an, the Hadith, and the Tafsir, the meaning of 5:51 is perfectly clear. Muslims aren't allowed to be friends with Christians and Jews, because Christians and Jews are enemies. Corbin, of course, will have none of this. Rather than read the Muslim sources and conclude, based on a careful investigation of the matter, what a verse commands her to do, she prefers to believe that the verse means whatever she wants it to mean. She then vilifies and demonizes anyone who attempts to correct her. The only possible influence of feminism on Corbin is that she seems to be convinced (despite a complete lack of studying on her part) that she understands Islam better than Allah, Muhammad, Umar, Abu Musa, and Ibn Kathir. Awesome response, Brother David. I can't wait to see the rest of your thorough response to Theresa's credulous and erroneous article. Hmm... What should be the Islamic punishment for those that commit shirk???? Please Corbin awliyah of Allah tell us. "So Muslims can't allow Christians or Jews to become police officers, government officials, doctors, lawyers, teachers, etc., in areas where Muslims are present, since doing so would violate the Qur'an. How moderate of our Muslim feminist! " Great Point, and this interpretation has even greater consequences for Muslims living in Kuffar lands. It means that a Muslim (she) can not call the non Muslim fire department if their (her) house is burning down or Non Muslim paramedics if they (she) is in medical distress, or Non Muslim police department to protect her from her Muslim husband who is practicing Islam on her. Corbin has went to one too many lectures where she gets fed the cake and ice cream version. This woman needs to spend some time in the Islamic state, they will cure her of her shirk. Haha yeah! Can't wait. This is even better than waiting for the next blockbuster movie or something. Watching David eat these Muslim apologists for breakfast has become the prime source of daily entertainment for me the past year or so. You come unprepared and when somebody knows your religion better than you, that's what happens. And what... "Vilifies and demonizes" people who correct her mistakes you say? Well, that's just the typical Muslim response to their religion being taken out into the sunlight isn't it? I'm praying some of these articles and videos to go viral soon! Welcome to the David Wood Academy. Prepare to be schooled !! Hey Theresa... Enough with this nonsense and come back to Christ. I just posted this on her blog, but she like Paul Williams has moderation turned on and I seriously doubt she will let the comment go through. I often wonder if Islamaphobe-a-phobes (like yourself ) and Islamic extremist realize that they are just different sides of the same coin. The proof of this is in your very next statement. 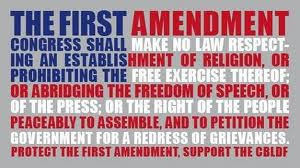 Just because I believe that Islam is a false religion, with a false prophet and a false God does not mean I believe that Islamapobe-a-phobes like yourself can not live, work, raise a family and even practice your version of your religion in the United States of America. I do not believe in segregation, second class citizenship or discrimination of any kind. Can you honestly say that all Muslims say the same about Kuffar in Muslim dominated countries? As far as war is concerned I was 100 percent against the US invasion of Iraq, (to the point of spending three days in jail with out food and limited access to water). I am also against any US military action in Syria and Iraq, and I believe that Muslims should be allowed to practice Islam on themselves and their own people in their own countries. With out fear of persecution, segregation, or discrimination. Can all Muslims say the same about Kuffar living in Muslim dominated countries? As far as your accusations that Islamaphobes like myself promote a distorted version of Islam, I like David Wood argue against not only the historical version of Islam that is found in the Quran, Haddeeth, Tasfir, and Sirat literature but also your watered down westernized version of Islam, as it still denies the only means by which people can be saved from the just wrath of God. That being the blood atoning sacrifice of our Lord and Savior Jesus Christ. So for arguments sake lets say you are correct. That Islamaphobes like myself promote a distorted version of Islam, and that there are no historical facts or Islamic sources to back up this distorted version of Islam, and your version of Islam is the correct and true version of Islam. I am not a Muslim so it does not matter what I believe Islam is or is not. You are arguing against and promoting your version of Islam to the wrong people, since we are not Muslims. You need to be arguing and promoting your version of Islam to the Muslims who do not practice your “true” version of Islam. You need to teach them what Islam is since they are the ones who are practicing the wrong version of Islam. To help you in your endeavor I can help raise money for you to travel to The Islamic State where you can teach the Muslims of ISIS that they got it all wrong. So when do you want to leave? Even if you where to convince the Jihadi Muslims that they got it all wrong, and all the Jihadi’s where to lay down their bombs and bullets, and Islam was to be the greatest love in since Woodstock. It still would not matter because you’re still going to hell since you deny the scandal that is the cross, who people like yourself think is foolishness. I implore you to save yourself from this wicked generation and bend the knee to the one who has the name above all other names, the one who by which all men are saved by, Jesus Christ our Lord and Savior. Do it before he rules over you with an Iron rod because it is a terrible thing to fall into the hands of the Living God. BTW David Wood is doing an excellent series exposing your distorted view of Islam. You can read the first installment here. All other installments will be published here. Sadly this woman has traded one lie for another as her previous affiliation was Roman Catholic and now she worships another false god. I can't believe that she identifies herself as a feminist either. she loves false religions where men run the show. If she would only have the proper authority and not rely on the teachings of men (the Catechism and the Quran), she could have truth. This verse was revealed about the Battle of Badr. The pagans of Mecca travelled more than 200 miles to Madinah with an army of about 1000 to kill the Muslims who numbered around 300. The Prophet Muhammad and fellow Muslims had suffered severe persecution, torture and even murder of their brethren for 13 years in the city of Mecca at the hands of these very same pagans." David, I tried sending this earlier and I think it got lost in cyberspace. I'm with you on this Keith. Theresa, why not talk this over with your husband and admit that you made a big mistake? Come back to Christ. He is our Savior. Mohammed was a fraud. Some of his book is merely self-serving, other parts are spiritual banalities, still other parts point to demonic possession, as do some of the ahadith. You live in the US, so your chances of surviving an exit from Islam are better than those living in Islamic countries. Come away from it while you still can. Looking forward to this series! Muslim converts in this country may think they can 'pick and choose' meanings. If they should try to settle in Iran or Saudi Arabia, they will be in for a rude awakening. You truly have a moral obligation to warn them. Looking forward to this series! Those who convert to Islam in America may think they can 'pick and choose' interpretations they like, but, should they relocate to the Middle East, they are in for a rude awakening. You have a moral obligation to warn them! Keep up the good work, David. Sorpotal said: "Saying imams and islamic scholars are smarter than Allah is blasphemy not shirk"
I think it can be described either way. For instance, if Allah gives his commands, but they're so incomprehensible and unclear that he needs others to explain them for him, then he's got partners. Theresa, please come back to Jesus. In Islam, shirk is not forgivable. But Jesus will forgive all, and Jesus treated men and women as equals, so Christianity is more compatible with Feminism than Islam. Study the Bible for yourself, it doesn't matter what the priest said to you! Is she trying to deflect you from her most obviously ridiculous claim though? 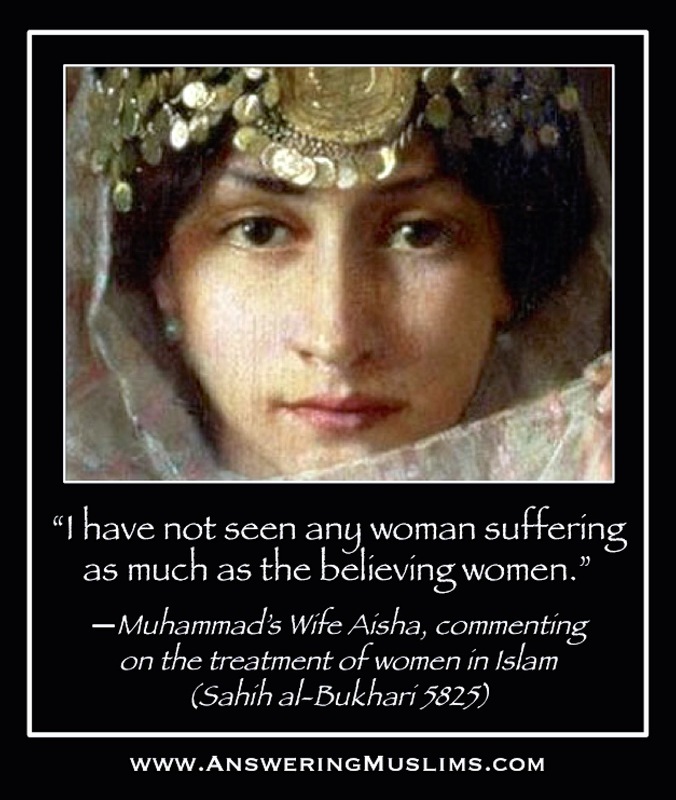 Islam's feminist credentials. Remember not to marry a non muslim (men can of course) and rejoice that you and three other ladies can share marriage with your man. Of course you can't have 3 husbands though. How feminist is all this? Maybe the definition of feminism has changed a bit recently. David, just a quick question. "The Kipster" is driving a wedge into your Christian readership at a time when we should be presenting a united front against Islamists. Do you know if he is a plant from the other side, a trouble-maker, or a merely a blithering idiot? [The Kipster]"Sadly this woman has traded one lie for another as her previous affiliation was Roman Catholic and now she worships another false god." Voice of the Martyrs. Nov 2013. "The New Road to Damasus"
The civil war in Syria is serving to strengthen the Church and tear down denominational barriers. Christian groups that five years ago might have questioned each other's salvation are now gathering for weekly prayer, asking God to move in their nation and in their churches. 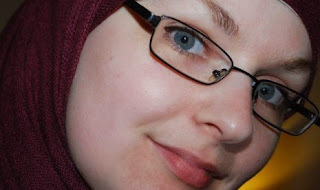 [The Kipster]"If she would only have the proper authority and not rely on the teachings of men (the Catechism and the Quran), she could have truth." for your Word is Shrara [Truth]. I also have sent them into the ailma. they may also be sanctified by Shrara. [ignatius]"Mohammed was a fraud. Some of his book is merely self-serving"
O believers, enter not the houses of the Prophet, except leave is given you for a meal, without watching for its hour. But when you are invited, then enter; and when you have had the meal, disperse, neither lingering for idle talk; that is hurtful to the Prophet…. It is not for you to hurt God's Messenger, neither to marry his wives after him, ever; surely that would be, in God's sight, a monstrous thing. ….God and His angels bless the Prophet. O believers, do you also bless him, and pray him peace. Those who hurt God and His Messenger — them God has cursed in the present world and the world to come, and has prepared for them a humbling chastisement. Smith claimed that God approved of men having numerous wives. Muhammad claimed that God approved of men having numerous wives. After 4 wives wasn't enough for Muhammad, Muhammad alleged that God approved Muhammad having over 10 wives. "O you who believe! do not take the Jews and the Christians for GUARDIANS; they are GUARDIANS of each other; and whoever amongst you takes them for a GUARDIAN, then surely he is one of them; surely Allah does not guide the unjust people. " Her reinterpretation makes it sound actually worse for any Muslims living under non-Islamic governments. The only way out of it is another reinterpretation of guardians to mean... foster or adoptive parents? That doesn't sound right either. great post, please let us know if she does post it on her blog! "The Lord's Blessings continue to shine on you and your lovely family". This needs to be CNN headline..
Theo Padnos, an American Journalist who was a prisoner in Syria for two years wrote of his harrowing experience in the NYTIMES recently. Germane to the discussion was a quote from his Nusra Front captors who regularly beat him in prison. 'Eventually, one of the more educated guards explained to me that as a Christian and an American, I was his enemy. Islam compelled him to hate me. David Wood is simply correct and the young lady is wrong. The members of the Nusra Front know the Quran inside out. They are following it to the letter. I pray that the price of her error is not her soul. 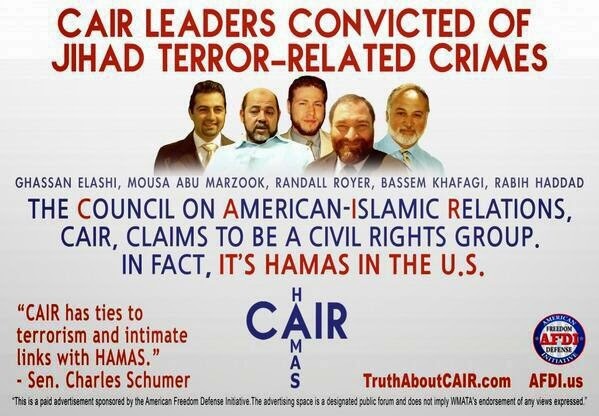 You have not made it onto CAIRs list of Islamophobic individuals. Don't take your omission personally I'm sure it's just an oversight. Keep up the good work I'm sure you'll make it one day. I feel I need to make it clear that making the list would be a badge of honour. I just realised my post could seem critical if read a certain way. 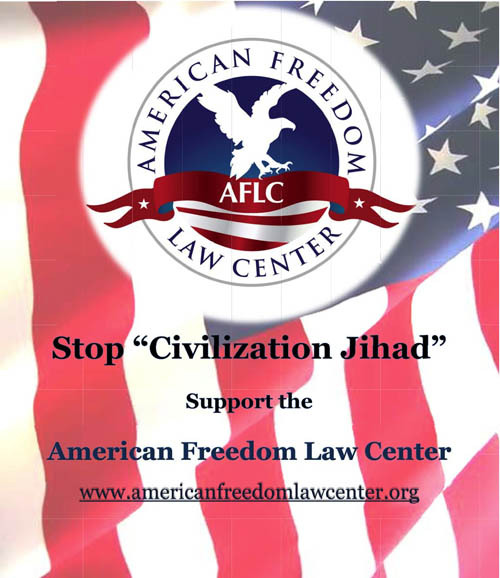 In order to Ben Shapiro's statistical support by Muslim population around the world to proof that majority Muslims support for Islamic terrorism for fear of Qur’anic teaching to obey Allah’s command for Jihad. All barbaric killings in Islamic states justify that statement. If majority Muslims are peace loving, why could they not control terrorism committed by the name of their Allah-hu-akbar in their own country? Does it not prove that majority Muslims favored to obey their Allah’s command in Quran to fight for Islam by killing Muslim and non-Muslims? Innocent Muslim killings are considered as collateral damages. A typical example is Pakistan, almost 100% Muslims where terrorism is daily incidents that killed thousands of innocent people. Last incident was on November 1, 2014 when more than 100 people were killed at Pakistan India border. If so called moderate Muslims were majority in Pakistan why do they not control small terrorist groups? It proves majority Muslims support Islamic terrorism to keep alive Islam in the world. When collateral damage sadly happen in killing terrorists by drone attack, all Muslims protest for innocent killing but no one protest when terrorist Muslims kill non-Muslims. Why?? Your refutation about the alleged mistranslation of verse 5:51. Do you speak Arabic David ? MUHAMMAD WAS RIGHT ABOUT MUSLIM WOMEN - THAT THEY ARE INTELLECTUALLY CHALLENGED - AND HERE WE HAVE A PERFECT EXAMPLE OF WHAT HE MEANT IN THE PERSON OF THERESA CORBIN!